Umeå holds a unique position as a dynamic growth region in northern Scandinavia. A strong export industry exists along with a steadily increasing population. Recently, Umeå was highlighted by the EU’s Eurostat office as one of the leading growth cities in Europe. Business growth is occurring primarily in the private sector, both through industrial investments as well as business-oriented services. Rapid growth means a steadily increasing flow of goods to and from the region. This is dependent on a fully developed, intermodal* transportation system based on well- functioning logistics hubs and combined terminals throughout the country. 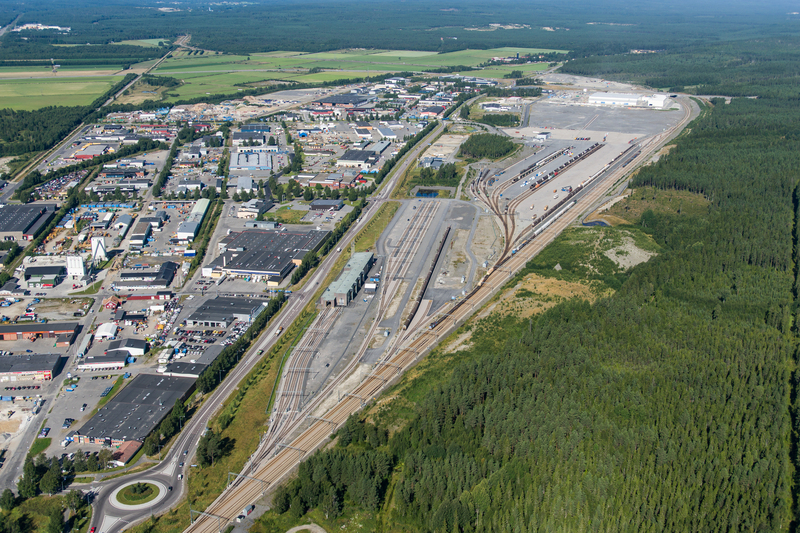 Umeå’s new freight yard and logistics areas (NLC Park and Terminal), its strategic proximity to the Bothnia Line, the main railway line, E4/E12, the airport, the Port of Umeå and ferry traffic to Finland, provide Umeå with unique advantages as an intermodal hub in the transportation system. 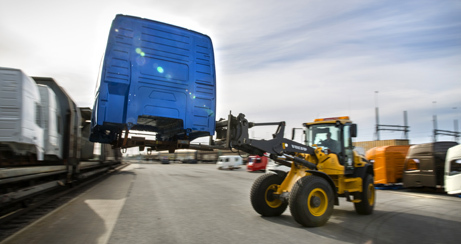 The NLC Terminal in Umeå is designed to fulfill the market’s requirement for railway transports as well as the increase in traffic that the Bothnia Line will generate, and is a part of Sweden’s strategic network of combined terminals. The Swedish Transportation Administration, in cooperation with INAB, has invested a total of SEK 900 million in the new terminal area. The terminal has nine railway tracks that are between 200 and 900 meters long, a freight terminal for loading and unloading railway cars and service facilities and parking areas for freight carriers. Intermodal traffic involves combining various modes of transport for more cost-efficient freight handling, with the least possible environmental impact. One of the goals of NLC is to eventually increase the amount of transports that are conducted by rail and sea, thereby reducing freight traffic on highways. – almost three times the size of the old terminal area. Track length has increased from 1,200 to 3,220 meters. Currently, Umeå handles approximately 35,000 TEU annually. Freight volumes are anticipated to increase by at least 10% annually. Umeå municipality has set aside a 40 hectare site for the establishment of logistical operations, which includes a host of activities: warehousing, transport/shipping, direct distribution, refinement in the distribution chain, support services, etc. Companies both large and small can fulfill their logistics solutions according to their own requirements at NLC Park. Part of the attraction of this site in- cludes close proximity to downtown Umeå (2 km by bicycle) and the fact that NLC Park is adjacent to a beautiful recreational area. Umeå Airport is just 10 minutes away (7 km). Close proximity is important to national and international business contacts.